Size S: Length - 6.5in, Width - 4.5in, Depth - 2in. Size M: Length - 9.5in, Width - 7.2in, Depth - 3.2in. Size L: Length -8.8in, Width - 11.9in, Depth - 8.6in. Size XL: Length - 13.7in, Width - 10in, Depth - 4.5in. Bottle Carry Bag : Length - 14.5in, Width - 4in, Depth - 3in. Note: The measurements given above are gift bags measurements. 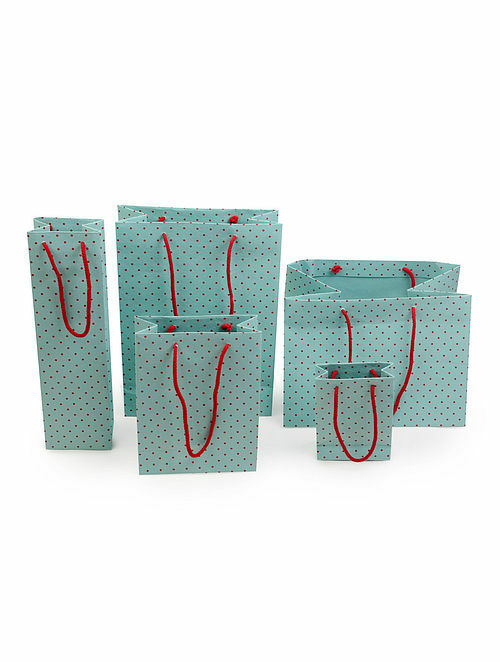 This set of gift bags by 'Xylem' with its vivid colors brings in a lovely pop of color and fun.